Joe Aldridge graduated from Appalachian State University in 2008 with a BSBA in Management and Computer Information Systems. He moved to High Point after graduation and began working in the banking industry and started working with BB&T in 2011. Joe is currently Assistant Vice President in the Commercial Banking Department. He and his wife Lydia have two children, Piper and Cooper. Betsy was born and raised in Michigan. After graduating from Indiana University, she moved to Winston-Salem to attend medical school and graduated from Wake Forest University School of Medicine in 1998. She completed her pediatric residency training at Cincinnati Children’s Hospital, including a fourth year as Chief Resident. 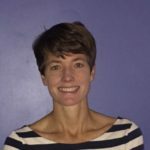 She returned to Winston-Salem in 2002, and has worked as a pediatrician with Ford, Simpson, Lively and Rice Pediatrics since January, 2003. In addition to The CFEC board, Dr. Armentrout has served on the board of the Horizons Residential Center and the Forsyth Stokes Davie Medical Dental Society. She and her husband, Brant, have two sons – Ben, a freshman in high school, and Luke, a sixth grader. Cindy Bay-Wall began her career in 1981 as a Manager Trainee with McDonald’s Corporation. For twenty-five years she held various management positions which focused primarily on Management, Operations, Training and People Development. From 2003-2006 she was Vice President of Operations, Training and Franchising in the Great Southern Region. Cindy was born and raised in Missouri. Throughout her time at McDonald’s, she had the opportunity to live and work in: Las Vegas, San Diego, Dallas, Chicago, Tampa, Norfolk and New Orleans. Cindy moved to Winston-Salem when she joined Krispy Kreme in 2008 as Senior Vice President of Company Shops. In 2011, she took on the additional responsibility for North American Franchise Operations and Real Estate. Cindy retired from Krispy Kreme on March 31, 2016. She is married to Earl Wall. Earl has 2 adult children. She and Earl look forward to spending more time with their four granddaughters. A Board-Certified Specialist in Immigration Law, Penni was named in the 2004 Business North Carolina’s “Legal Elite” as the top employment attorney in North Carolina. She has been nationally recognized by inclusion in “Best Lawyers in America” for both Immigration Law and Employment Law, and by “Chambers & Partners” and “Super Lawyers” as a leading immigration attorney. She has also been listed in Who’s Who in America, Who’s Who in American Law, and The International Who’s Who of Professional & Business Women. Penni has also been a speaker on both immigration law and employment law before such organizations as the American Bar Association, the American Immigration Lawyers Association, the North Carolina Bar Association, the South Carolina Bar Association, the American Home Furnishings Association, the Georgia Employers’ Association, and the North Carolina Association of Certified Public Accountants. As a child, A.J.’s parents always owned their own small business. Through that, he witnessed the economic impact small businesses have and their essential role in the community. In addition, he has seen the impact an excellent legal team can have. He thrives working with small businesses and helping them achieve their goals. At heart, A.J. is a builder taking tremendous pride in watching hard work culminate into great achievements. His father Andy has been a real estate appraiser for over 20 years, and for a significant portion of that time, AJ worked with him, both as an administrative assistant and as a licensed real estate appraiser, gaining insight into the real estate industry and putting him in a unique position today. As a direct result of his experience, A.J. understands many clients’ real estate needs beyond that which a lawyer would be exposed to in law school or even in a real estate law career. The most exciting part of work for A.J. is seeing new clients with different, challenging needs. Professionally, there is nothing he enjoys more than when the client takes a sigh of relief knowing they made the right decision calling Surratt Thompson & Ceberio. When he is not helping clients in the office or in the courtroom, A.J. is usually with his wife, Danielle, either exploring all North Carolina has to offer or having a relaxing day at home with their pug and two cats. They are huge Florida State Seminole fans and do not miss a game during football season. A.J. is also an avid golfer and loves getting out to the course when he has an opportunity. CFEC Board Member | VP-Corp Financial Business Support, Hanesbrands, Inc.
Donald Cook has served as Vice President – Financial Business Support for Hanesbrands Inc. since November 2016. In this role, Donald is responsible for all global financial planning and analysis. Prior to his current role, Donald served as Vice President and Treasurer, and Assistant Treasurer/Director of Pensions & Benefits Finance, for the company. Prior to joining Hanesbrands, Donald worked for three other Fortune 500 companies, holding various investment and treasury positions with increasing levels of responsibility. He holds a Bachelor of Science Degree in accounting from the University of Tennessee and a Master of Science Degree in accounting from the University of Virginia. Donald’s wife is a third grade teacher at Southwest Elementary School. They have three children. Dr. Beth Day-Hairston is Chair of the Department of Education and Associate Professor of Special Education at Winston-Salem State University. A former classroom teacher of children with disabilities, Dr. Day-Hairston has committed her professional career to helping students with learning difficulties be successful in school. Dr. Beth Day-Hairston earned a Bachelor of Science Degree in Special Education from Winston-Salem State University (WSSU), a Master of Arts degree in Special Education from Appalachian State University, and her Ph.D. in Special Education and Literacy from The University of North Carolina at Chapel Hill. Dr. Day-Hairston is a teacher educator who presents extensively at conferences at the local, state, and national level on differentiated instruction, service-learning, co-teaching, inclusion, problem-based learning, experiential teaching, best practices for working with culturally and linguistically diverse families, best practices for teaching at-risk students, and teaching strategies for working with children with behavioral and emotional disorders. Day-Hairston is heavily sought out as a conference speaker and consultant who provides engaging professional development workshops. Ted Goins is an advisor with Salem Investment Counselors. He is a graduate of R.J. Reynolds High School and the University of North Carolina at Chapel Hill. Ted has served on numerous non-profit boards and church committees. He is particularly grateful to the excellent staff, thoughtful volunteers and generous donors who help students and their parents receive outstanding instruction in the caring environment at The Centers for Exceptional Children. Amy is a native of Columbia, South Carolina. After graduation from the University of Georgia, she attended the University of South Carolina School of Medicine, where she obtained her medical degree. She completed General Surgery Residency and Surgical Critical Care Fellowship in Chattanooga, Tennessee and moved to Winston-Salem in 2008. She joined the faculty of the Wake Forest School of Medicine, where she serves as Associate Professor of Surgery and Residency Program Director for General Surgery. She and her husband, Herbert Krabel, have twin 6-year-old sons, Simon and Max, who attended school at The Children’s Center for several years. Rob was born in Charlotte and lives in Concord today. He received his undergraduate from Catawba College in Salisbury and his MBA from the University of North Carolina at Chapel Hill. Rob has been with WestRock for 19 years and is currently the Vice President of Supply Chain for the Merchandising Displays Division in Winston-Salem. He is Co-Chair of the CFEC Charity Golf Tournament and along with WestRock has been involved with this event since 2010. He also served on the Business Advisory Council at Catawba for 5 years. He has a son, Robbie, who lives in Memphis and a bonus daughter, Erin, who lives in Charlotte. Rob enjoys travel, cooking and good wine. Tonika Kottenbrock is the Senior Director of Culture, Insights & Engagement for RAI Services Company, a subsidiary of Reynolds American Inc. She is responsible for the social wellbeing programs that connect employees to their colleagues, community and the company. Tonika is also responsible for the recognition programs and leads the work environment initiatives that improve the overall employee experience. She also oversees employee research and the RAI Employer Brand marketing initiatives. Over her 20 year career, she has served in various functions including Customer Service, Event Marketing, Trade Marketing, Consumer Marketing and Human Resources. Tonika holds a Bachelor’s degree in Journalism and English from The University of Alabama in Tuscaloosa where she attended on a Speech & Debate Scholarship. Shortly after graduating she moved to Louisville, Kentucky where she worked in advertising. She began her career at Brown & Williamson Tobacco in 1996 and moved to Winston Salem with the merger of R. J. Reynolds Tobacco and Brown & Williamson in 2004. Tonika and her husband Stephen enjoy spending time and traveling with their two daughters, Chloe and Layla, ages seven & four. Tonika volunteers weekly at The Downtown School and also serves on the board for the Piedmont Opera. Jeffery T. Lindsay is Novant Health’s executive vice president and chief operating officer. He is responsible for operational performance and strategic growth of the health system. Lindsay has worked in healthcare for more than twenty-five years and has been part of Novant Health since 1996. Lindsay holds a Bachelor of Science in Business Administration and Political Science from Auburn University and a Master of Science in Health Administration from the University of Alabama at Birmingham. Prior to accepting his current role in 2014, Lindsay most recently served as president of Novant Health Forsyth Medical Center and chief executive officer of the Winston-Salem and eastern North Carolina markets. He began his career at Novant Health as vice president of Cardiovascular Services and since served in numerous leadership positions, including vice president of Presbyterian Hospital Huntersville, and president of Rowan Regional Medical Center and chief operating officer of the Triad region. He serves on the North Carolina Hospital Association as past chair of the board and is a board member of the Winston-Salem Alliance and Winston-Salem Business Inc. Lindsay is also currently serving on the board of directors for Hospice and Palliative Care Center, The Centers for Exceptional Children, Winston-Salem Chamber of Commerce, the Arts Council of Winston-Salem and Forsyth County and the W-S Symphony. He has also served as past board member for the Forsyth Country Day School. Mark was born and raised in Winston-Salem and has recently returned to the area following a 5 year stint in Houston TX. He has over 30 years experience in senior level financial management and is currently Group CFO for Flow Control Group, a private equity backed Distribution Company specializing in flow control and fluid handling products and services. 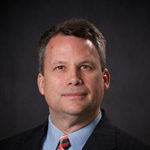 He has a BS in Business Administration and Economics from High Point University and a MBA from Wake Forest University. His interest in education and children stems from constant exposure during his 35 year marriage to his wife Debbie, a lifelong educator who is currently a children’s book author a visiting Associate Professor in Education at Salem College. Mark and his wife Debbie have 2 grown children, a daughter Elizabeth who currently teaches second grade at Speas Elementary and a son Andrew, a CPA currently working for Reynolds American. Additionally, they are the proud grandparents of 2 grand dogs. Rodessa D. Mitchell is the vice president of education and workforce development at the Winston-Salem Chamber of Commerce. She believes that education is the key to success and can level the playing field for the disenfranchised. Rodessa currently serves on the boards of Forsyth Education Partnership, Youth in Transition, and WS/FC Schools Career Academies. Rodessa holds a bachelor’s degree from North Carolina Central University and a master’s degree from the University of N.C. at Greensboro. She and her husband, Doug, have two young adult children, Kimberley and D.J., who are busy chasing their dreams. Emily Neese is Associate Vice President, Strategy & Operations at Wake Forest University. She is also a CPA. She has recently served on the Board of Trustees of Summit School, and serves on area boards including ABC of NC and Board of Directors of ABC of NC Foundation. Emily is married to John Babcock and has grown children. CFEC Board Member | Retired, VP HR Service Solutions, Reynolds American Inc.
Cathy Peden joined Reynolds American in 2004 where she held various leadership roles in information management and human resources until her retirement in 2017. Prior to Reynolds, Cathy worked for Brown and Williamson for 25 years in information technology, market research and human resources. A native of Louisville, KY, she holds a bachelor’s degree in computer science from Western Kentucky University and an MBA from Bellarmine University. Cathy has served on the United Way Community Investment Cabinet, was a former chair of the Forsyth County Women’s Leadership Council, has been recognized as a YWCA Woman of Vision and was a past chair of the Northwest NC Chapter of the American Red Cross. Cathy has two grown sons, Eric and Daniel, as well as a Maltese mix named Izzy. She loves the outdoors and enjoys hiking and scuba diving. Kevin Pichardo is a graduate of Mt. Tabor High School and UNC-Greensboro with a Bachelor of Science degree in International Business and Spanish Literature. He began working with Allegacy Federal Credit Union when he was in college and has been there full-time since graduation. Mr. Pichardo is the program manager for Well-Q, a collaboration between Allegacy and Wake Forest Baptist Health, that is designed to help people better understand the relationship between their physical and financial well-being. Mr. Pichardo has worked with children through his experience with the YMCA. He is married and has two dogs. John is an associate in Kilpatrick Townsend & Stockton’s Mergers & Acquisitions, Securities, and Corporate Law practice group. John primarily represents public and private investment funds, investment advisers, and operating companies seeking capital through public and private offerings. Prior to beginning his legal career, John was a manager for the Vanguard Group, overseeing its institutional brokerage unit and the development of the firm’s retail ETF business. John holds a B.A. from Wake Forest University, a M.B.A. from Liberty University, and a J.D. from Wake Forest University School of Law. Christine Kelley Storch is founder of Dashing Social Media, LLC a social media marketing company. She grew up in Charlotte and is a graduate of Meredith College. She is involved in various organizations in Winston-Salem, including the Junior League of Winston-Salem, Friends of Brenner Children’s Hospital and St. Paul’s Episcopal Church. She is mom to Nelson and Rand and wife to Bain. In her free time she enjoys spending time with her family, reading and traveling. Linda S.R. Thorup is the Executive Vice President of Hayden Design Associates, Commercial Interior Planning & Design and is an Alumna of Guilford College. Prior to her service on the CFEC Board, Linda served on the Guilford College Board of Trustees. In addition, she is Chair of the Stratford Rotary Scholarship Committee and is a member of Highland Presbyterian Church where she serves as an Elder. Linda is married to Don Thorup, President of Sport-trak, Inc. and they live in Yadkin County. They have two adult children, Alex and Anna. Their daughter Anna was enrolled in The Children’s Center preschool program for 3 years due to her significant orthopedic impairments. The Thorups credit her years at The Children’s Center as significantly formidable in Anna’s development and success as a productive person with significant physical disabilities. Anna is featured on the CFEC website. Ricky is a Senior Project Manager for Frank L. Blum Construction Company and has been with the firm and in the construction industry for 19 years. In addition to his service on the Board of Directors for The Centers for Exceptional Children, he also serves on the Board of Directors for the Winston-Salem Chamber of Commerce, Facilities Committee for the Ronald McDonald House of Winston-Salem and the Scholarship Committee for the iCan House. He is a member of the Knights of Columbus Santa Maria Council and Stratford Rotary Club. He has his undergraduate degree in Architectural Studies and Masters Degree in Construction Science & Management. CFEC President | Retired Vice President Human Resources, Reynolds American Inc.
Yvette Willard recently retired from Reynolds American where she had a 36-year career in HR, marketing, and operations. Yvette holds a Bachelor of Science degree in Business Administration from the University of North Carolina at Greensboro and a Master of Business Administration from Appalachian State University. In addition to the CFEC board, she serves on the board of the Winston-Salem Symphony and is a member of the YWCA Women of Vision Award Committee.